Our priority is to provide 1st class service. We are glad you decided to visit Aspen Aviation, serving the best of the best Ski Area Resorts of North America and beyond! As a "VS~VIP Air Club" member; we can help make chartering affordable between one resort to another for your convience. There is a membership fee and annual dues. There are no monthly management fees, nor aircraft acquisition fees. As a "Charter Referral Service" or an individual passenger or group requiring a light jet on short notice or a Boeing 747 booked weeks in advance to deliver freight across the Pacific Ocean, Aspen Aviation offers the most complete and personal service in this rapidly expanding industry. We also fly heads of state, sports teams, Hollywood productions and have associates that hold contracts for the evacuation of entire Caribbean Islands in the event of hurricanes. The original Aspen Aviation which was founded more than 40 years ago and has gone through some major transitions through the years. 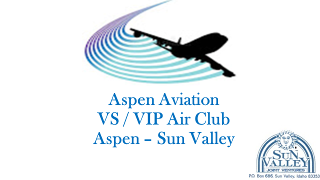 Now, under new management, being run by Aspen Local residents Aspen Aviation, Inc has struck an accord with others that had been in the Air Charter business for almost 30 years. 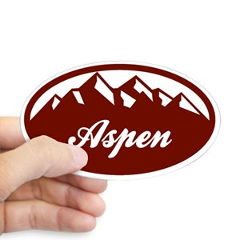 The new Aspen Aviation, Inc, has an alliance with only those that have sustained the "ups and downs, & turbulence" (pun intended) of various different “out of towners” that have flown in and out of Aspen trying to do things the way they did in the Cities they came from. Now we have a breath of Fresh Air to have a local business, run by local residents, similar to some of the traditions passed on from the “Quiet Years” après the Silver Boom / Bust, and before the Ski Gold Rush. The new Aspen Aviation, Inc. only associates with those that focus on honesty, integrity, trust, and respectable business practices. Only with those that have had thousands of hours of flight experience, and enjoy an excellent reputation for consistently providing the most reliable, efficient and cost-effective aircraft charters of almost every description. Whatever your charter needs, Aspen Aviation’s relationships with a network of contacts with some 3,900 operators throughout North America and beyond that gives you access to over 18,000 aircraft.